Community Blog by FAILCAST // Failcast Episode 20 Beta: Samit Have Speelings! 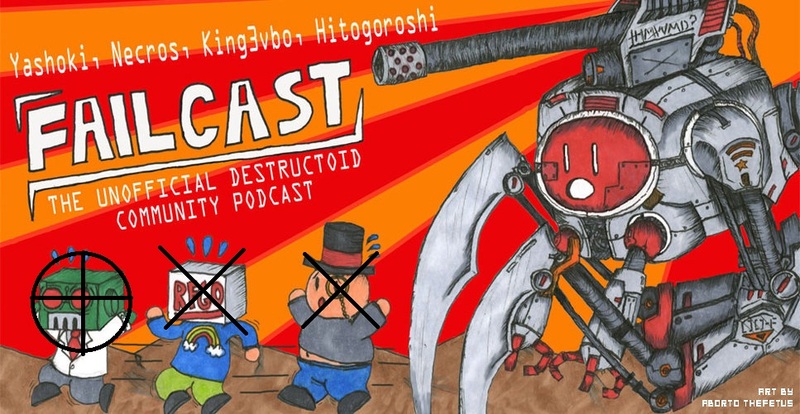 Failcast Episode 20 Beta: Samit Have Speelings! In this episode, special community guest and sports/PS3 editor Samit Sarkar says that no one can accuse Failcast of being boring or not funny, so since we're awesome no matter what, I think we can officially claim that we're the best podcast on the internet. Or, as Yashoki would hurriedly point out, we're at least better than Podtoid, LOLOLOL. Listen as he and King3vbo attempt to grill Samit on "the issues" but end up have a very enjoyable conversation. Samit talks about prepositions and the Yankees, so all of you sports grammar fans are going to have a field day with this episode. Also, we exposed Samit to your horrible spelling and grammar in the questions post for this episode, and though it's subtly edited out, there was actually some weeping from the travesties you all unleashed on the English language. Bravo, Dtoid, you are truly internet monsters. Downlood da ep FOR A AWSUM TIEM! If you want to be a guest on the podcast or have an audio segment to contribute, send an email to [email protected]ail.com and we'll get back to you. Keep in mind that we have a long guest list, but you will be put on it; you'll just have to wait. Any audio segments should be in MP3 format, with a bit rate of 128 kbps and a sample rate of 44.100 kHz.